DuraMON LED monitors marine applications. With the DuraMON 19” LED ISIC provides a competitive and technical excellent solution for small size marine display applications, where 5:4 aspect ratio is required. Available for both AC and DC applications and with optional touch screen functionality, the DuraMON 19” LED covers a broad variety of applications. The DuraMON 19″ LED is designed for ECDIS and Radar applications and include optional S-video and Composite video input. As an accessory we offer table / wall / roof mounting brackets in the well known and reliable ISIC design. Low weight Long up time and less service. Zero Mercury Low Power consumption. Compliant with IEC 60945 and IACS E10. ECDIS / RADAR options. 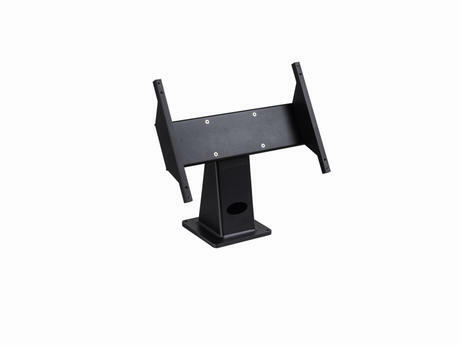 Desk/Roof and wall mounting-brackets available. Special modes supported on request. The bracket is designed the DuraMON LED monitor series, for aspect ratio 4:3 and 5:4.